Do we really have to wait until August? 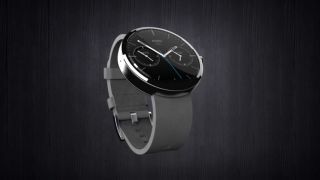 Motorola's taking its sweet, sweet time with the Moto 360 - you know, the smartwatch that everyone really cares about - and while it might not be the saviour of our wrists, we're damn excited to give it a chance. And Moto knows it, which is probably why it's torturing us with yet another teaser video. This one explains a bit more about why the company decided to make a smartwatch in the first place, while offering a couple more glimpses at that lovely round face. "It's super comfortable," says product lead Lio Ron. But more importantly, it's "classical". It sure is. Check it out below. The LG G Watch is already here - how's it shaping up?